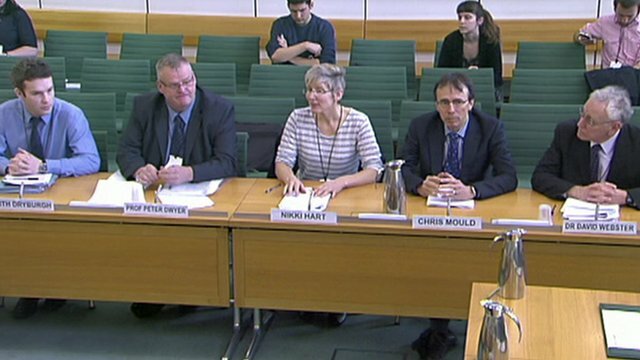 On 7 January 2014, the Work and Pensions Committee took evidence on the benefits sanction policy beyond the Oakley Review. This was the first evidence session of this inquiry, and the committee heard from a range of commentators, academics, service providers and advice organisations. The Oakley Review was conducted by former civil servant Matthew Oakley into how JSA claimants on mandatory work schemes are told about potential penalties. The review found that sanctions were a "vital backstop" but raised a number of concerns and urged a series of improvements. The main recommendations of the review include reviewing all correspondence styles, giving claimants personalised information about why they had been referred and giving clear information about the appeals process, and access to hardship payments. The committee's inquiry will examine the lessons for the wider sanction policy, recent trends in sanctioning rates and how effective the sanctions process is in encouraging more people to move into work.